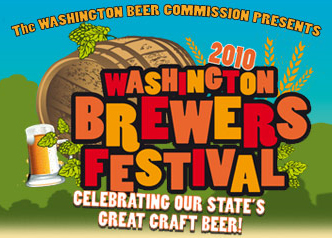 Kenmore, WA – The 2010 Washington Brewers Festival will return to Saint Edward State Park this coming Father’s Day Weekend with a beer list that will include summer seasonals and longtime festival favorites to rare vintage gems and the latest releases from some of the newest breweries in the region. Two hundred beers will be available for tasting. The Festival begins on Friday, June 18, with an evening featuring Washington breweries exclusively. On Saturday and Sunday, beer enthusiasts can choose from the full beer lineup from all 65 breweries and there are always some great surprises and new beers to try. In addition the Festival is introducing a new Pint-Size Beer Garden and the Buzz Cart, a roving beer station serving premium beers, offering more ways to enjoy fresh, local, award-winning Washington beer.